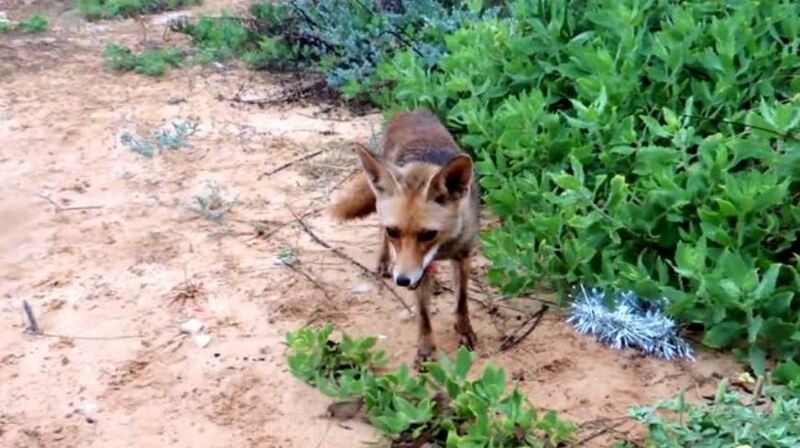 A woman in Israel has known this friendly fox for a while, and the beautiful creature takes food right from her hand. But over the spring, the vixen had a litter of four kits. Now mama takes the food to the little ones instead of eating it herself. Normally the father would take care of the babies by hunting and gathering food, but with no father in sight, the woman has become sort of a surrogate parent. How precious is this?